It was nice to mix it up this week by getting into our club gym on back to back days to start the week off. But you can tell below, it didn’t take long to get back to my OTF addiction. I am really waiting for me to need a break from these classes, but I normally have to tell myself to take a day off, instead of “needing” one, they are that good. Tell me below or on my latest instagram if you’ve ever been, are as addicted as me or have been curious to try it! this is my favorite type of “me” or “mommy time.” to be outside doing one of my favorite things…alone. My girl Meghan Markle once described running as a moving mediation and I couldn’t agree more, and not just because she said it. Best of Cyber Monday and GOLDEN GOOSE on MAJOR Sale! Holiday Dresses under $70 AND 30% off! We are Off! Plus, Sale! thank goodness for the weekend! clean out your closets, ladies! stripes, and red, and leopard, oh my! navy & orange gift guide: Valentine's Day! navy & orange gift guide AND a Mane Message giveaway! navy & orange gift guide: for the men & Cyber Monday SALES! 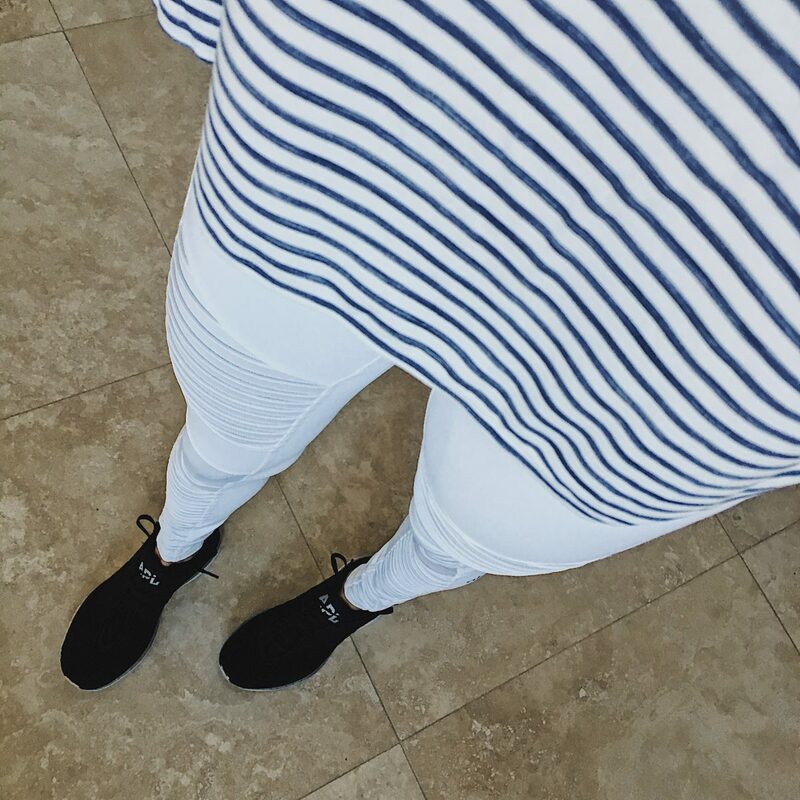 navy & white: just right! $150 Style Etoile Giftcard Giveway! weekend & Initial bracelet giveaway winner! navy & orange turns 1!